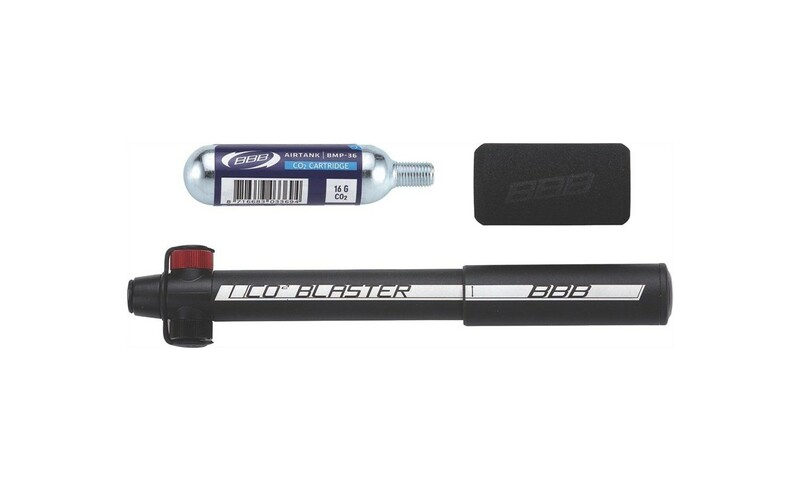 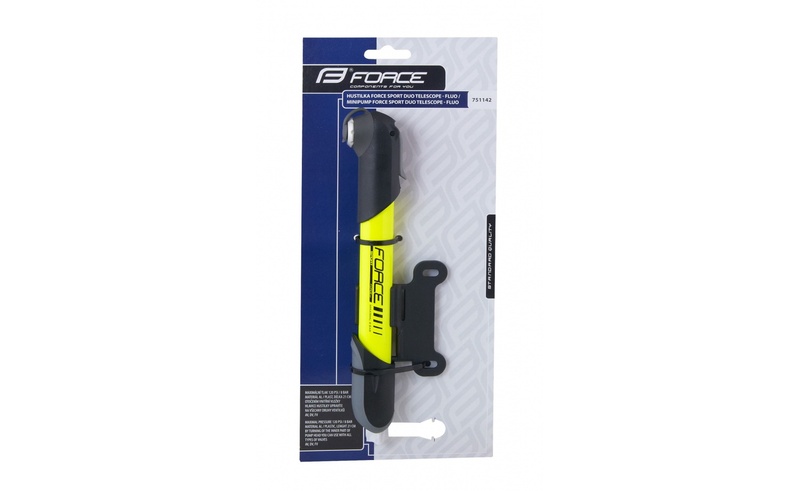 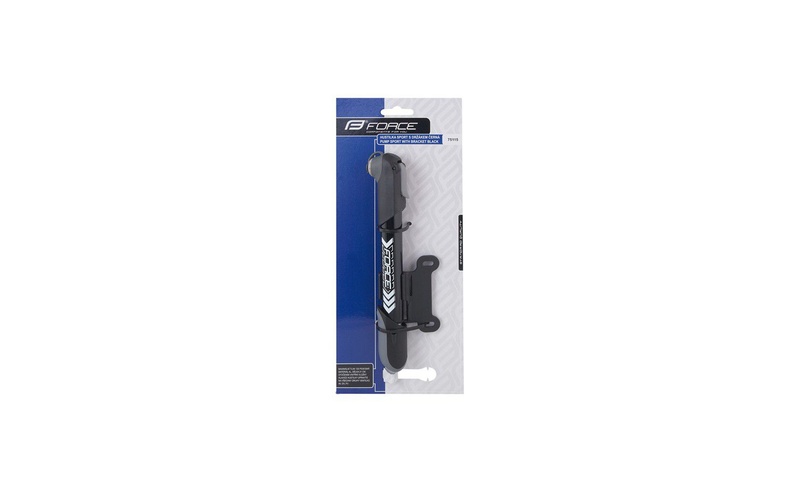 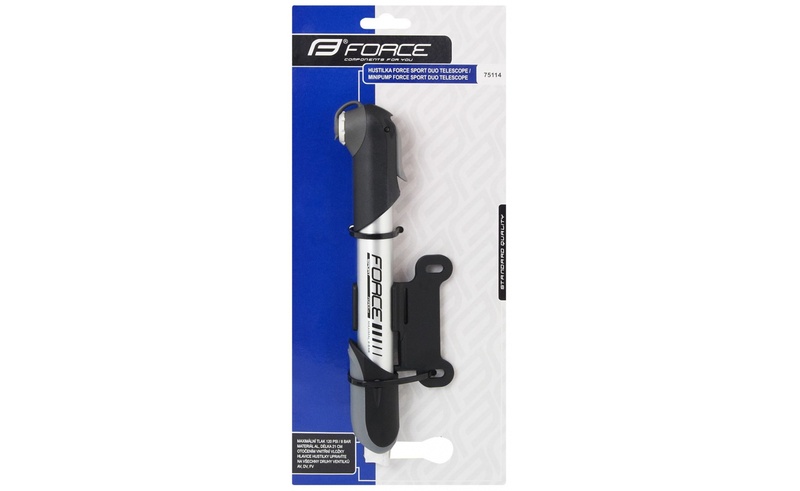 The Force Sport Duo bike pump will pleasantly surprise you. 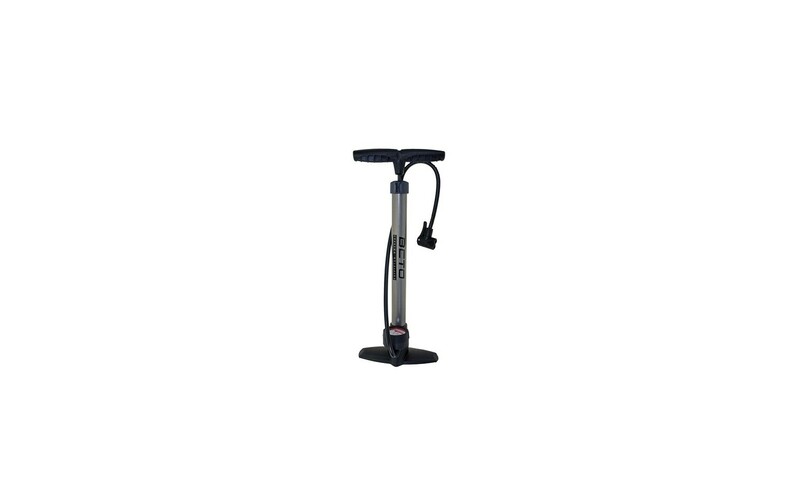 The length of the pump is only 21 cm, so you can easily attach it to the footbike.Thanks to its telescopic contrsuction, the pump achieves a pressure of up to 120 PSI / 8 bar and faster tire inflating. The pump is suitable for all types of valves (AV, FV, DV). 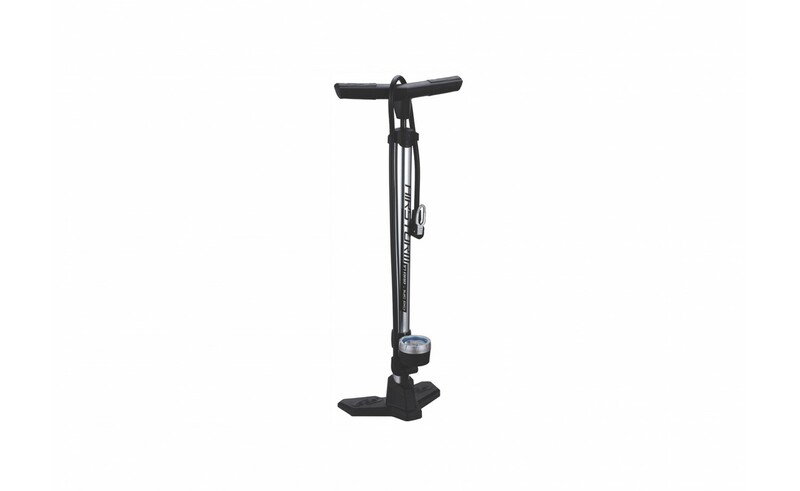 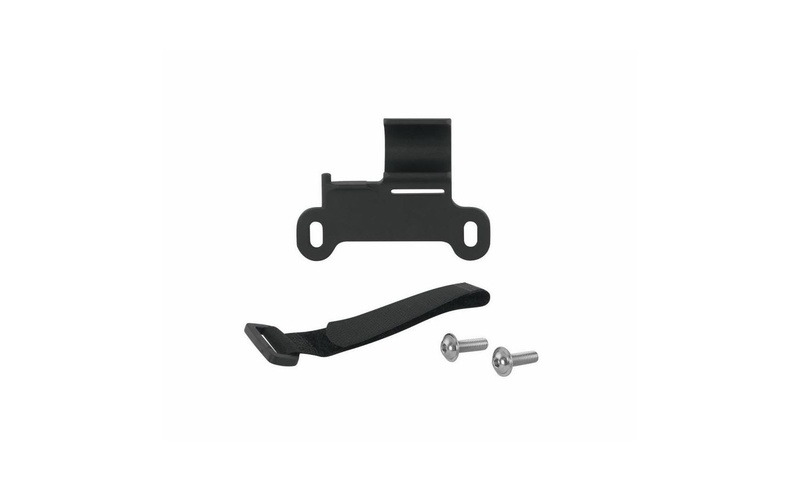 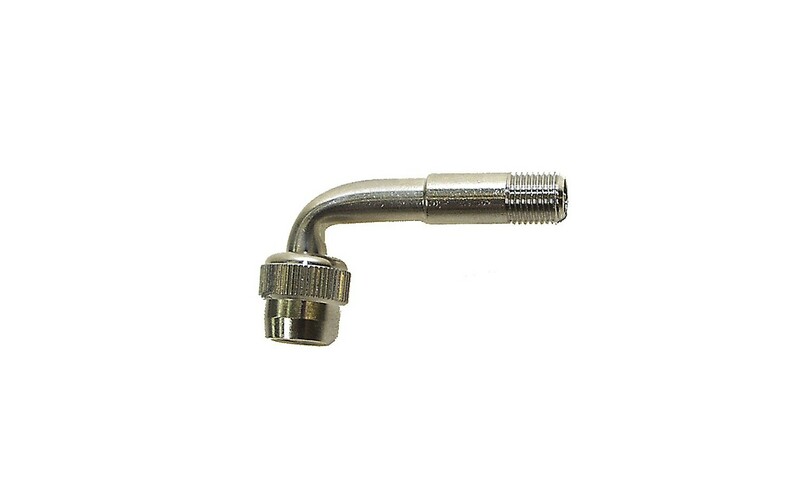 The body of the pump is made of durable aluminum in addition to plastic handles. 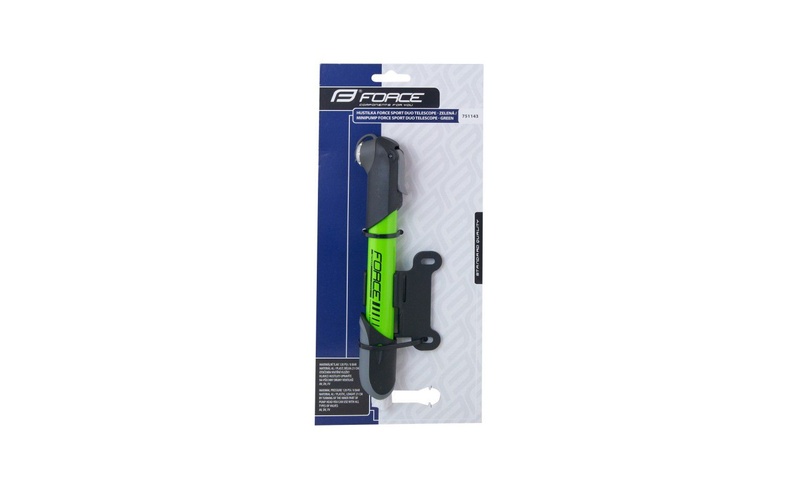 The package contents has a holder between the basket and the.